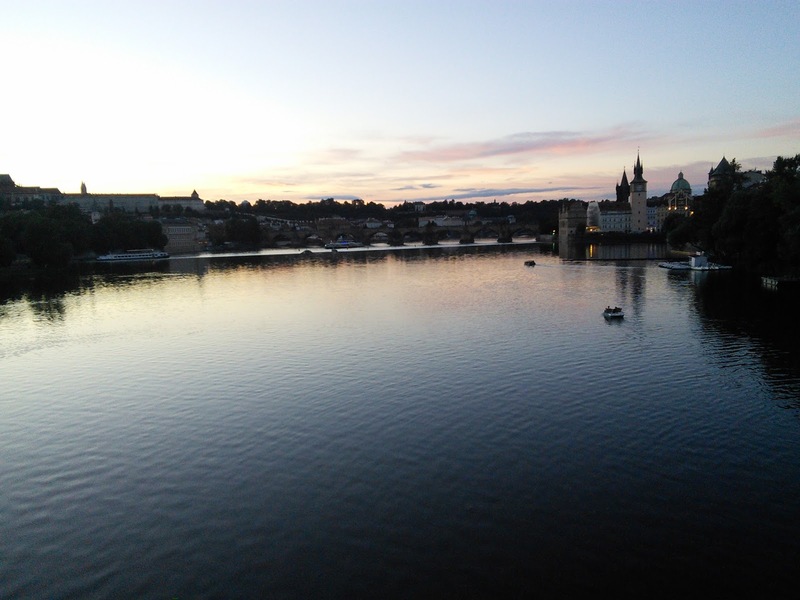 On sunny summer days all Prague seems to be on or in the river, and a very sensible and healthy way it is to spend the hot hours of the day—and it can be appreciably hot in Prague. As a rule you may reckon on long spells of fine weather throughout Bohemia, as the country is sheltered on the weather side by the high mountains which hold up the rain. 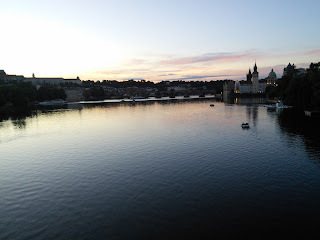 So all Prague turns out to enjoy the river and the sunshine. During the summer months the inhabitants of Prague, a very white-skinned race, turn ripe brown in the parts exposed to the sun; and, as I suggested before, a considerable aggregate surface is thus exposed.